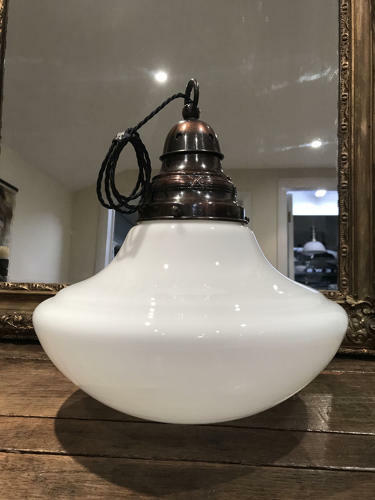 A beautiful 1920's Opaline pendant light. The Chapel light has a beautiful form. With original copper gallery which has been re-wired with vintage style flex. Comes with a 1m hanging chain.